Meeting today November 29, 2016 in Bamenda, all the Anglophone teacher trade unions of the Basic, Secondary and Vocational Education sectors, CATIU, TAC, PEAITU,CEWOTU and BATTUC, in a joint extraordinary executive bureau meeting assessed the industrial action embarked on since November 21, 2016, discussed and took a stance on the recent happenings in Buea and Bamenda, examined the gentlemanly agreement struck with the Prime Minister, Head of Government, among other things. While expressing immense appreciation to the Prime Minister, Head of Government for his openness to dialogue and his resolve to address the issues tabled to Government by all Anglophone teacher trade unions as evidenced in the consultative talks of the 25th and 26th of November, 2016, they nevertheless expressed total stupefaction and condemnation of the parallel press conference granted by the Ministers of Basic and Secondary Education, Communication, Justice and Higher Education on CRTV on 25th November 2016 aimed at undermining efforts initiated by the Prime Minister to amicably solve the issues at stake. The above conference was clearly meant to undermine the position of the Prime Minister, Head oi Government, himself an Anglophone. 1. The unions address a vote of thanks to the leaders of all Anglophone teacher trade unions for their steadfast actions and level-headedness in the manner in which they have been carrying on negotiations with government and managing the strike action. Equally, parents are commended for keeping their children safe at home and off the streets. They should understand that the stakes are high and even if it means sacrificing a whole academic year by keeping their children out or school, it is for their own supreme interest. They should prepare themselves for this eventuality. 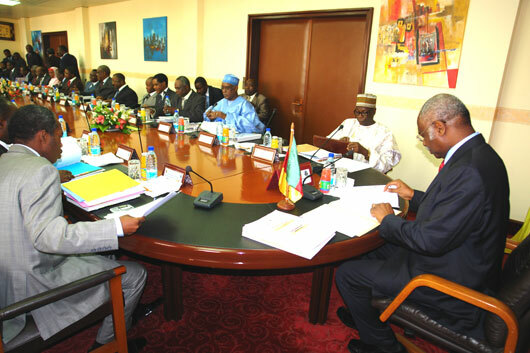 Furthermore, the unions appreciate the Governor of the North-West Region in the way he has handled the crises in the region and the Head of State, President of the Republic for sending an emissary in the person of the Prime Minister, Head of Government to ﬁnd lasting solutions to the problems tabled to Government. 2. The unions firmly stand by the resolutions arrived at by the Executive Council of SYNB-UB of 29 November 2016, and in the most unequivocal harms, demand insistently that all the students arrested be released forthwith and accounted for, That the perpetrators of the heinous and repugnant acts of human rights abuse and mayhem on innocent peaceful children be indicted and sanctioned accordingly, while students hostels destroyed by security forces on high instructions of the slate be repaired and all health bills paid by state. 3. The unions look forward in eager anticipation that the Prime Minister, Head of government will respect the terms of the gentlemanly agreement arrived at on the 26th November 2016 in the event where the government fails to honor her own part of the gentlemanly bargain the unions will be left with only the option of inviting parents to withdraw their children from boarding schools by Friday December 2, 2016 for the strike to continue unabated. 4, The unions assert that in the eventuality of a positive response from Government on the grievances put forward, the brutish treatment of university students by the military and some university administrators should be redressed before they can make any positive pronouncements on the conditional bargain that was reached with the government. 5. The unions perceive the massive deployment of Anglophone elite to the North West and South West Regions as a calculated attempt by government to disrupt the strike and continue to stiﬂe the people. This, to us, is clear proof of government’s unwillingness to address and solve the problems presented. This entry was posted in News and Events, Politics. Bookmark the permalink. IS LRC HOUSE OF CARDS TUMBLING DOWN AS ITS PARLIAMENT GOES UP IN FLAMES?